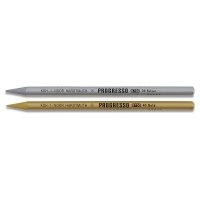 Koh-I-Noor Progresso woodless pencils have a smooth feel and excellent lay down properties preferred by professional artists. 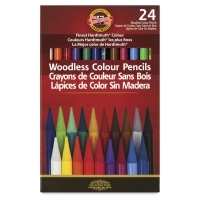 They have a weighty feel, which is ideal for drawing, coloring, and illustrating. 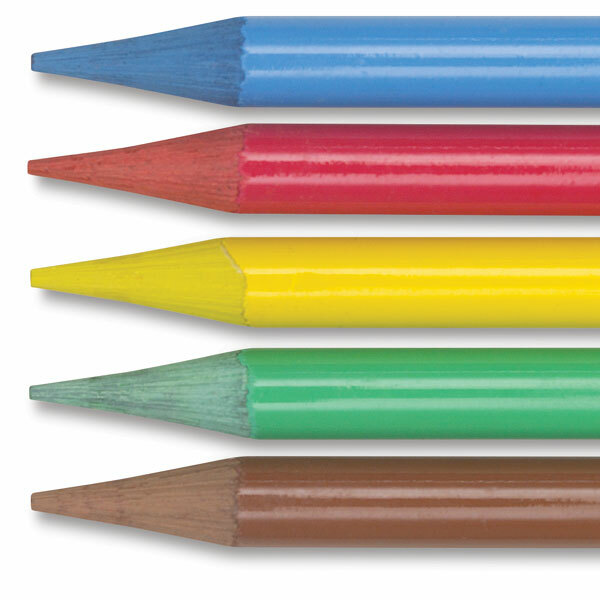 Each high-density pencil includes five times as much lead as a regular pencil. 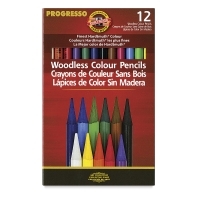 Pencils are pre-sharpened and have a lacquer coating. They can be sharpened in any pencil sharpener. Assorted Colors, Set of 24 — Light Yellow, Orange, White, Sap Green, Hookers Green, Light Blue, Dark Blue, Dark Violet, Light Vermilion, Carmine, Brown, Black, Dark Yellow, Pink, Scarlet Lake, Light Violet, Sky Blue, Paris Blue, Light Green, Dark Green, Light Ochre, Burnt Sienna, Natural Sepia, Light Gray. Assorted Colors, Set of 12 — White, Light Orange, Orange, Dark Violet, Sap Green, Paris Blue, Black, Brown, Light Vermilion, Light Blue, Light Green, Light Yellow. ® Koh-I-Noor is a registered trademark.